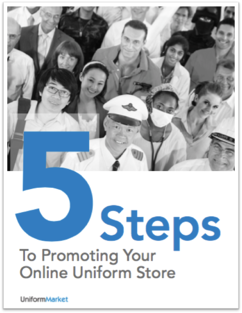 5 Steps to Promoting Your Online Uniform Store! How can your uniform business start to reach more customers? Every uniform retailer has to ask this question. There is a growing percentage of uniform retailers who are completely online operations. Others still operate brick and mortar stores and need to properly manage their digital sales. Complete the form to download your free guide today!